Preheat oven to 230°C. Place the pizza bases on a oven-friendly pizza tray. 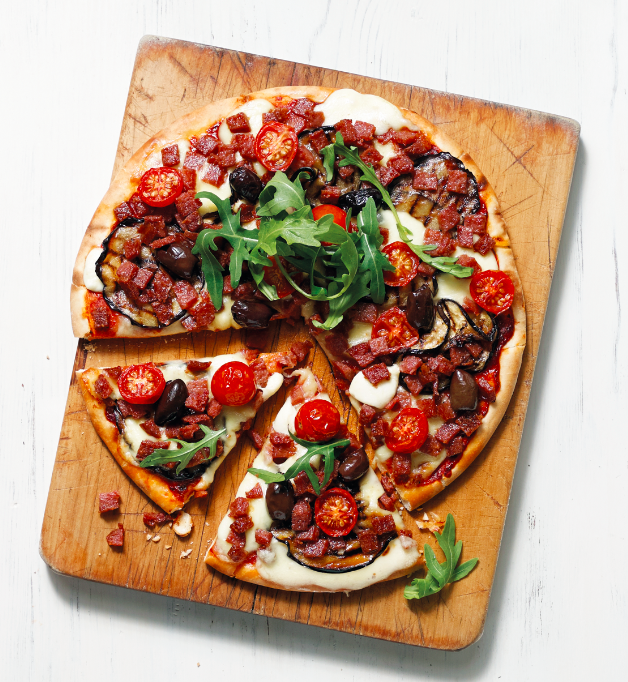 Spread the pizza sauce evenly across both bases, and layer over the chargrilled eggplant and mozzarella slices. Sprinkle over the diced salami and pitted olives, and scatter the cherry tomatoes. Bake 10-12 minutes or until the cheese is browned, tomatoes have softened and the base is crisp. Scatter with rocket to serve.